This year our fundraiser is being supported by Hoodoos and will take place at Croydon Conference Centre. 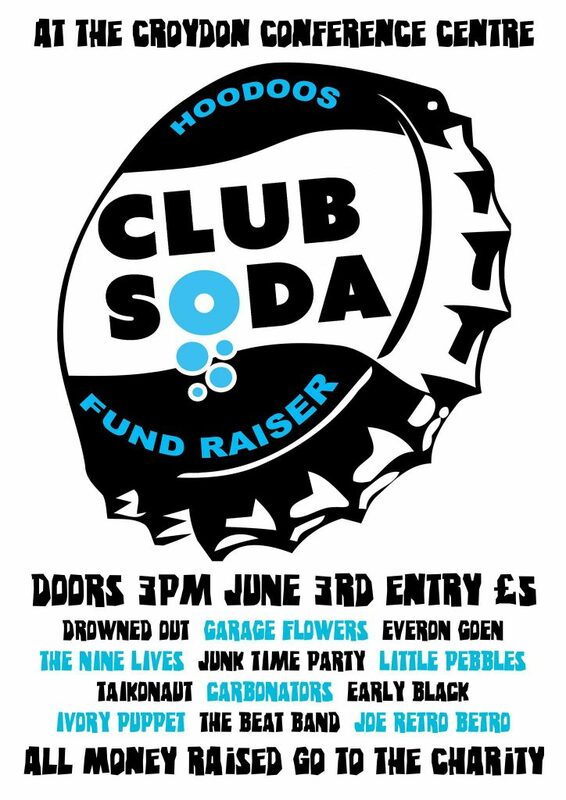 There’s over 9 hours of live music, interspersed with Soda Crew DJs and the crazy raffle! Tickets are just £5 on the door. See all you lovely people there!